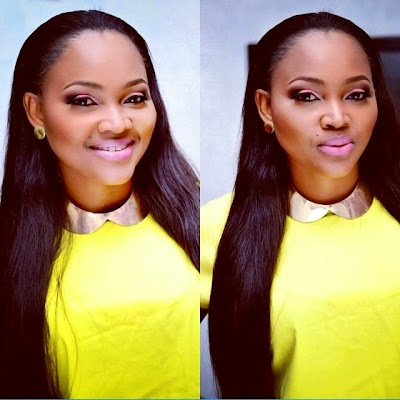 Mercy Aigbe is such a fashionista. 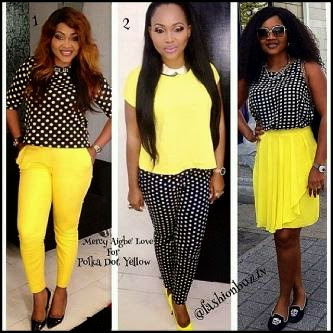 The very stylish actress has been spotted on three different occasions pairing color yellow with polka dot print. So guys,when did she wear it best? 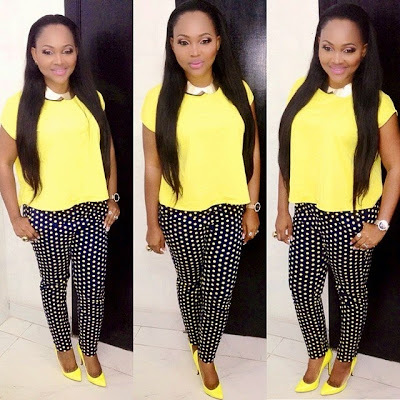 I love the first picture where she is wearing a polka dot top, yellow pant paired with a black court shoe. Pick your fave.